This concentrate is a water-soluble coolant with EP additives that contains mineral oil. This concentrate is a water-soluble coolant that contains mineral oil. Concentrate for grinding and finishing metals. This system cleaner can be used while operation is in progress to dissolve microbial contamination from machine tools, coolant tanks or piping. Mix: 1 – 2 % calculated based on the circulating emulsion volume. Multi-purpose cutting oil for processing nonferrous metal, cast iron, and steel. Spark erosion oil can be used both for smoothing and roughing. Spark erosion oil can also be used for super finishing as its application produces excellent surface grades. In our choice of raw materials, it is based on the high quality of materials to obtain maximum results. This is achieved by continuously monitoring the quality confirming the positive properties of the EUROLUB products. In the case of engine oils it is important for the engine oil to have optimum lubrication properties in order to extend the life of a unit and ensure optimal cooling and binding of particles formed as a result of friction in order to avoid any premature wear. All-purpose oil for hydraulic systems that helps improve hydraulic oil economy. Hydraulic oil that contains active ingredients designed to improve resistance to oxidation and corrosion. Contains detergent additives. The HLPD hydraulic oils is based on paraffinic base oil and modern additive technology. Effective zinc containing components guarantee optimal lubrication and long term protection against oxidation. 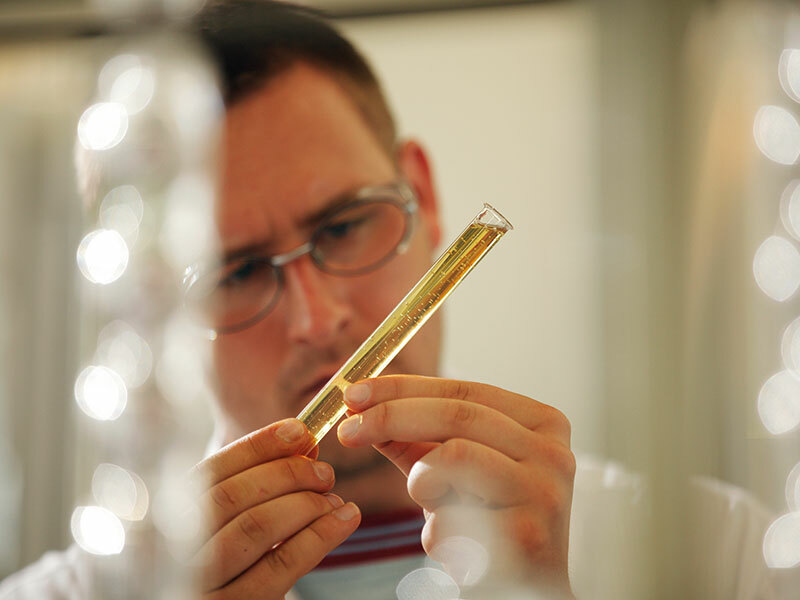 During the process fine filtration is possible without the risk of losing valuable ingredients. Because of the high viscosity index the lubricating effect of the oil remains unaffected even at very high temperatures. Dispersant and detergent additives provide optimal dirt-removing properties and the product is especially suitable for centrally supplied machines. Hydraulic oil based on selective raffinates of the highest quality that contains active ingredients designed to improve resistance to oxidation and corrosion. High viscosity index. 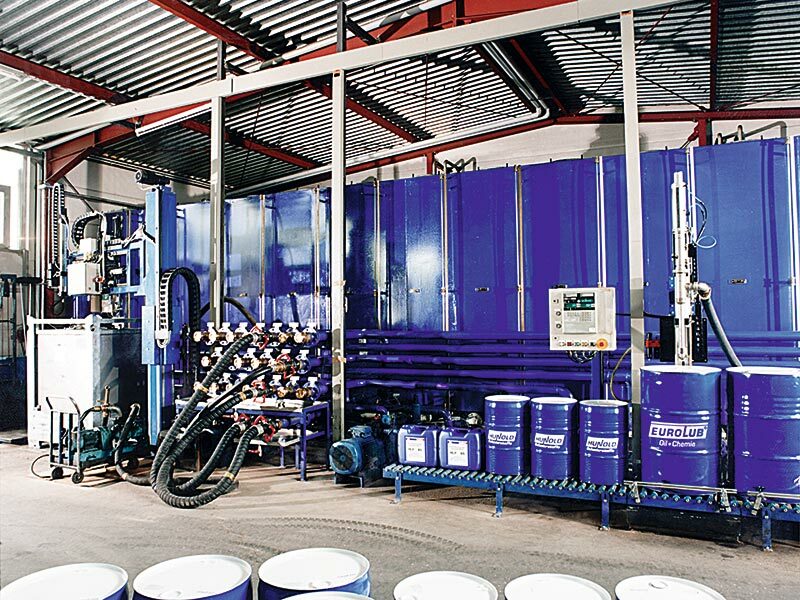 Zinc-free and ash-free hydraulic oil. Milking machine oil is a special hydraulic fluid that has proven to be useful across a wide range of applications. Medical-grade white oil of the highest quality. Excellent aging resistance. Like the racing driver in the cockpit: We too rise to the challenge of leaving the competition behind. “Enter the race” with us – and you will stay in the fast lane. We train your staff, accompany you to important customer meetings, react to the individual requirement in your market and help you develop strategies and service tools. EUROLUB helps you achieve business success. Maintain your number one position with a strong high-quality brand “Made in Germany”! 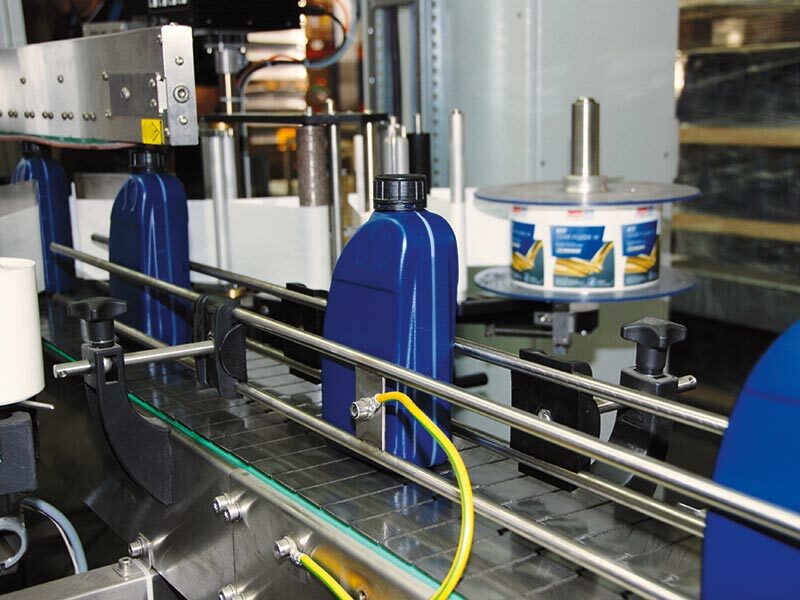 CGLP sets itself apart by its good lubricating and sliding properties as well as its exceptional adhesive power. Chain Saw Medium offers unrivaled adhesive properties alongside exceptional temperature characteristics and good lubricating properties. Chain Saw Medium is a highly developed product suitable for use in chain saws of all makes. A highly stringy and adhesive lubricating oil which forms stable and pressure-resistant lubricating films. Vertical guides and sliding surfaces can be lubricated properly as the lubricating film will not tear off. Hydraulic oil based on premium quality synthetic ester. Chain saw oil based on rapeseed oil. For chain saws used in professional applications. Exceptional lubricating properties, good aging resis tance. Industrial gear oil (PG). Cannot be mixed with other base oils! 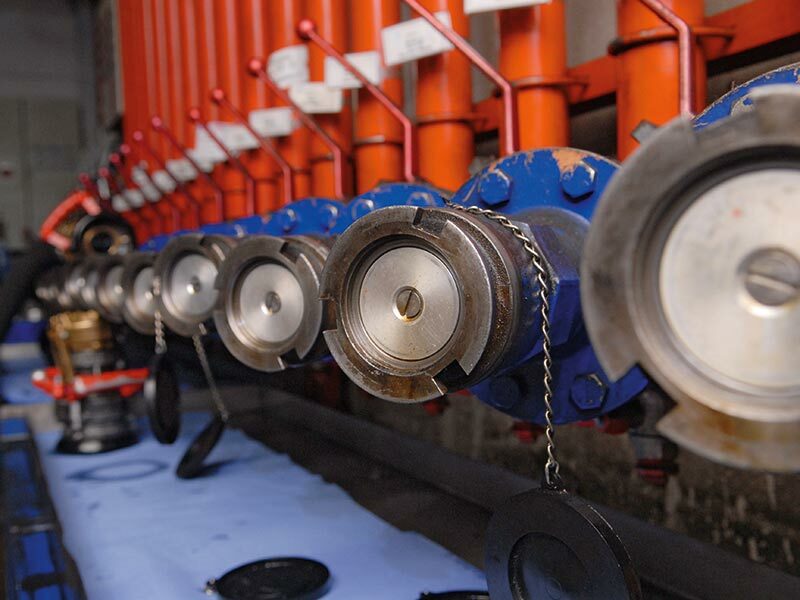 Industrial gear oil based on PAO with superior aging resistance. Developed for lubricating heavy-duty industrial gears, improved by EP additives and corrosion inhibitors. Molding and releasing fluid for the production of exposed concrete and paperhanger beton areas, concrete areas in in-situ constructions and ceiling elements. Nirostol 1 is a low-viscosity anti-corrosion oil. It is used to preserve workpieces of all kinds during extended storage. Highly adhesive lubricant and anti-corrosive for wire ropes and use as automobile cavity protection and underbody coating. Wire rope preservative that is free of mineral oil and complies with the Austrian requirements applying to wire ropes (DSB 80). For the universal re-application of the preservative used on wire ropes in service. Also suitable to protect automobile underbodies and cavities thanks to its superioadhesion and penetration characteristics. The mark ‘Made in Germany’ has long been a sign of top quality as far as the manufacturing processes and raw materials are concerned. Every product we manufacture meets the German standards of precision, punctuality, diligence and efficiency to continually exceed our customers’ high demands for quality. The order processing efficiency, competence and pragmatism shape the completeness and integrated nature of our service, so that EUROLUB is rightly considered as the best alternative. 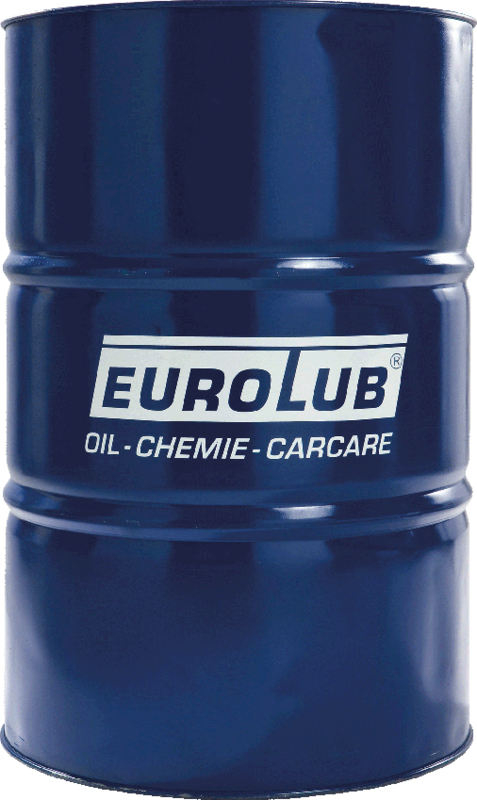 The company EUROLUB GmbH with its EUROLUB brand is now regarded as one of the leading independent trading companies in the field of Lubricants, Additives and Car Care in Germany and currently supplies to more than 40 countries. EuroMix 2-Takt® Engine Fuel is a clean 2-stroke fuel which in use in the forest sector and the garden area provides healthy workplace and clean environment. EuroMix 4-Takt® Engine Fuel is a clean 4-stroke fuel which in use in the forest sector and the garden area provides healthy workplace and clean environment. This cold cleaner satisfies the demanding requirements that need to be met by cleaning agents used for industrial applications. Oily, greasy, and soiled surfaces can be cleaned more quickly. Special cleaner with ideal properties for dissolving greasy and oily contamination. Cleaning takes place in a parts cleaner, an immersion bath or manually by brush application. Highly concentrated high-pressure and multi-purpose cleaning agent. Binds fluids of all sorts on every hard surface. The optimum slip resistance will be achieved even at complete saturation of granulates. Binds fluids of all sorts on every hard surface. Due to it`s fine grains Oil Binder Plus penetrates in the small cracks and recesses. The optimum slip resistance will be achieved even at complete saturation of granulates. Independently cleans away oil contamination from floors, tanks, machines, lifting platforms, tools, motor vehicles, wall and floor tiles of concrete, asphalt etc. Lithium-saponified long-lasting EP grease for lubricating friction and anti-friction bearings. Lithium-saponified multi-purpose grease containing colloidal graphite. For lubricating friction and anti-friction bearings. 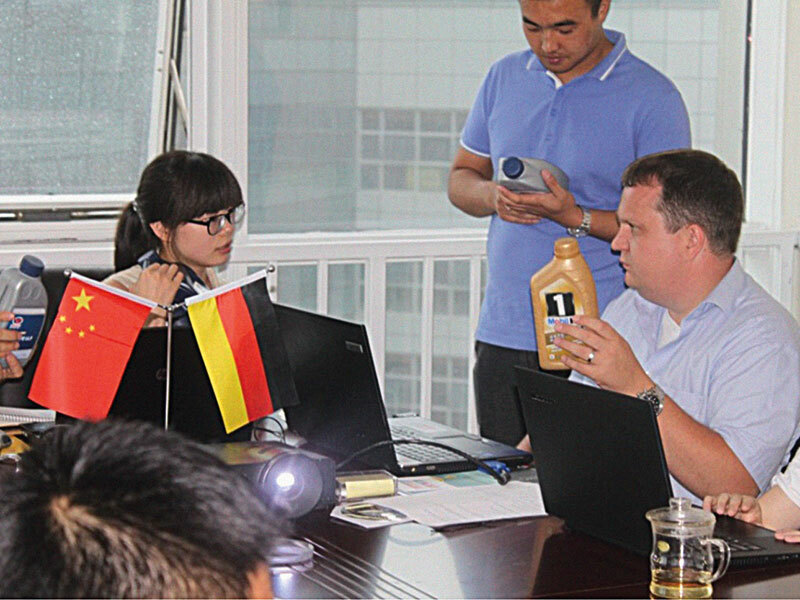 Yellow, specially calcium-saponified long-lasting EP grease that was developed to withstand high pressure stress and vibrations. Extremely adhesive. Exceptionally waterresistant. Blue, lithium-saponified long-lasting EP lubricating grease. Suitable for use as a lubricant on friction and anti-friction bearings and as an all-purpose grease for automobiles, construction machinery, and agricultural equipment. Adhesive. 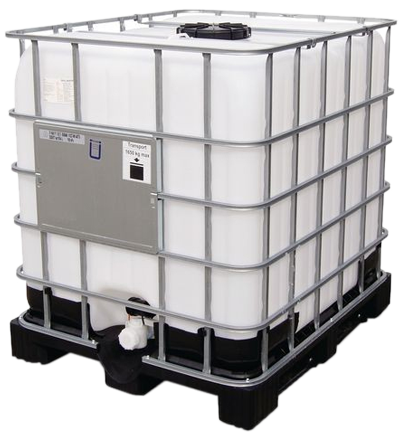 For central lubrication systems in commercial vehicles and units that are operated outdoors and whose lines are laid over long distances (lithium-saponified). Lithium complex soap-thickened grease for lubricating friction and anti-friction bearings that operate under high pressure. 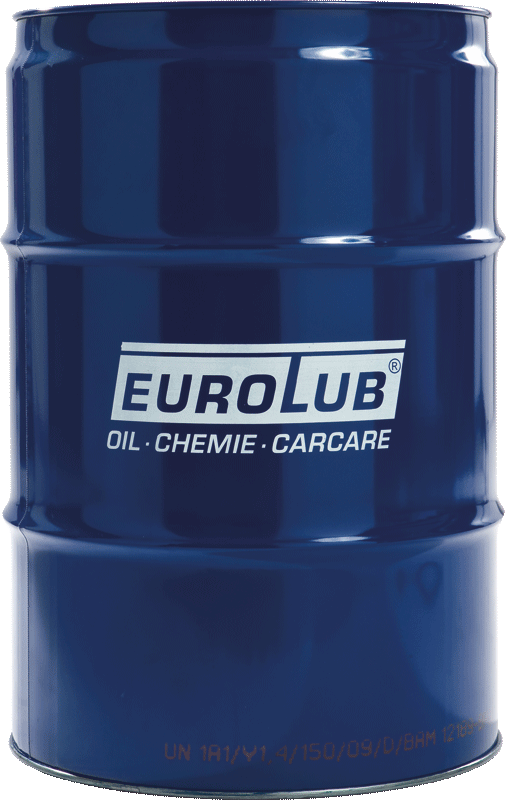 EUROLUB wheel rim cleaner is pH-balanced and, therefore, suitable for use on steel and aluminum rims. Its new formula and active ingredient allow this cleaner to absorb any dirt and indicate with a red coloring that the dirt is ready to be simply washed away with a jet of water. Even if residing on them for an extended period, this cleaner will not cause any damage to the wheel rims..